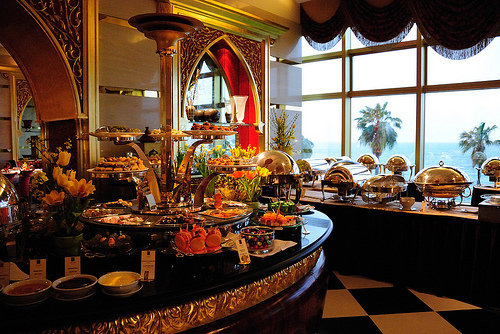 Have a romantic and distinct soiree while being in Dubai with a fancy food experience at Burj Arab hotel. Your driver will pick you up from hotel heading the Burj Arab hotel and driving along Jumairah beach. Enjoy the attractive landmarks of road before reaching the wonderful hotel and being greeted by staff. The experience comes with a breath-taking view of blue water of Jumairah beach. By the end of the soiree you will be transferred back to hotel. Rate does not include drinks and beverages.